Winter 2011/12 is out! I hadn’t realised that we didn’t have it up (accidentally mixed it up with 2011 ><”). 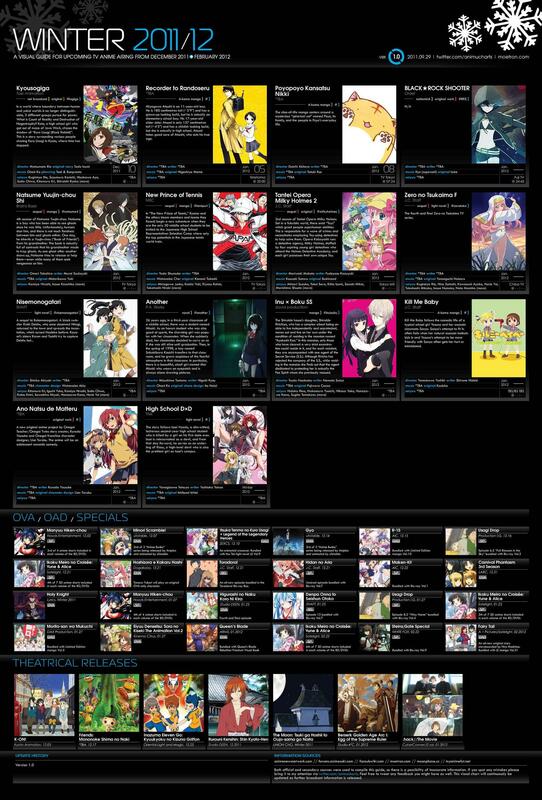 Nevertheless, expect a brand new series of New Prince of Tennis and a proper season of BLACK ROCK SHOOTER! Also, a Steins;Gate Special and Fairy Tail OAD coming soon. 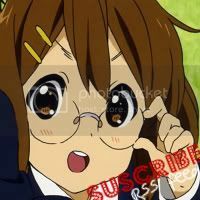 Best of all, K-ON The Movie is out! Subtitles please since all we have so far is the new singles to enjoy. But for now, my friends are teasing mee~ T^T they’re going to japan and they’re all gunna be watching the K-ON movie … IN CINEMAS! Aw! I am hating on your friends. Must be pretty hard for you :3 I feel you . . .